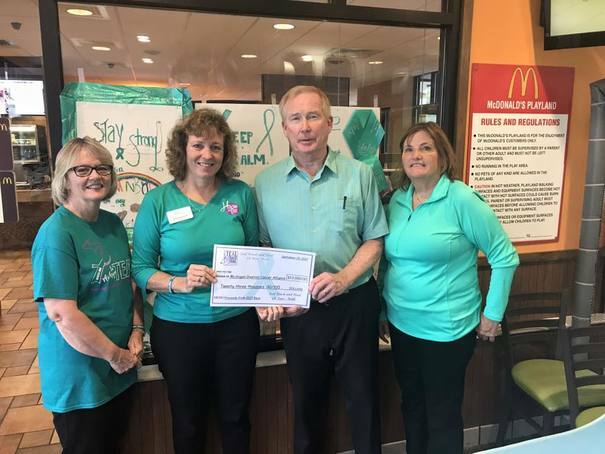 The Teal Track & Trail raises funds and awareness in honor of a wonderful Daughter, Sister and Best Friend and everyone else who has fought or is fighting Ovarian Cancer. So won't you help us continue the Teal Track & Trail effort to raise money for all of those families who are living with the reality of Ovarian Cancer. Our goal is to help find a cure so no more families have to go through this again! Thank you to all our generous sponsors and participants- our 2017 Race raised $23,000 for the Michigan Ovarian Cancer Alliance- $75,000 in 4 years.